It’s no news that most schools have a dress code for their students as a form of regulating their looks. While these rules serve as a way to curb indecent dressing and the likes, it becomes outrageous when they are also applied to parents. This was the plight of Joselyn Lewis when she was denied access into a school because of the clothes she wore. As reported by Click 2 Houston, Joselyn’s daughter had been bullied at her previous school, so she wanted to transfer her to Madison High School. 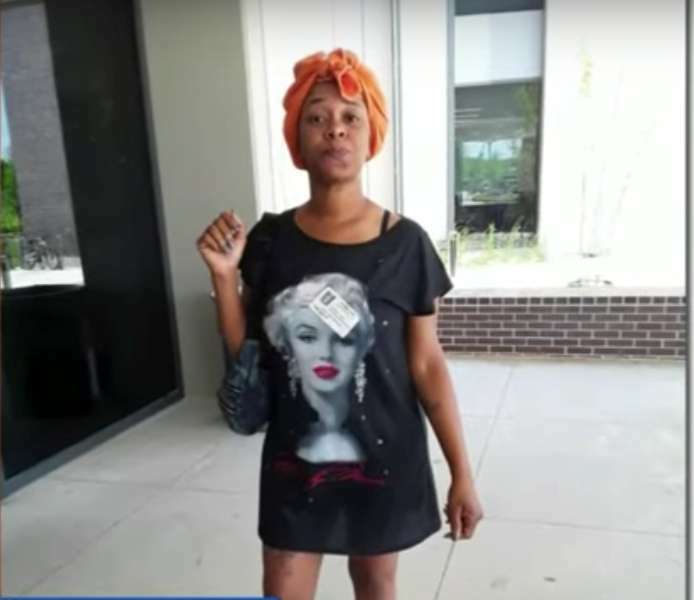 On getting there, Joselyn, who sported a T-shirt dress of Marilyn Monroe and a headscarf, was not allowed on the property. Joselyn explained that, at first, she assumed the school administrator mistook her for a student, so she told her that she was a parent to clear all doubts. However, that was not enough as they still didn't let her in because she wasn’t in tune with the school’s dress code. Joselyn couldn’t understand why her dress and headscarf posed enough reason to deny her enrolling her child in Madison High School. She explained that the reason why she had a scarf on was that she was in the process of getting her hair done and didn’t feel like wearing it out. Pissed at the administrator’s remarks, Joselyn demanded to see a “parent dress code” document, but they wouldn’t answer her. They then called the police on her, but by then she was already on the phone with the school board. Surprisingly, the school’s parent’s responsibilities section on their website says nothing about how a parent should dress. Unfortunately, the school hasn’t responded to the news agency to clear the allegations. Hopefully, the school board realizes that a child’s education is more important than what their parents have on. However, if they are in support of a dress code for parents, it would be advised that it is published on their website to avoid such controversy.